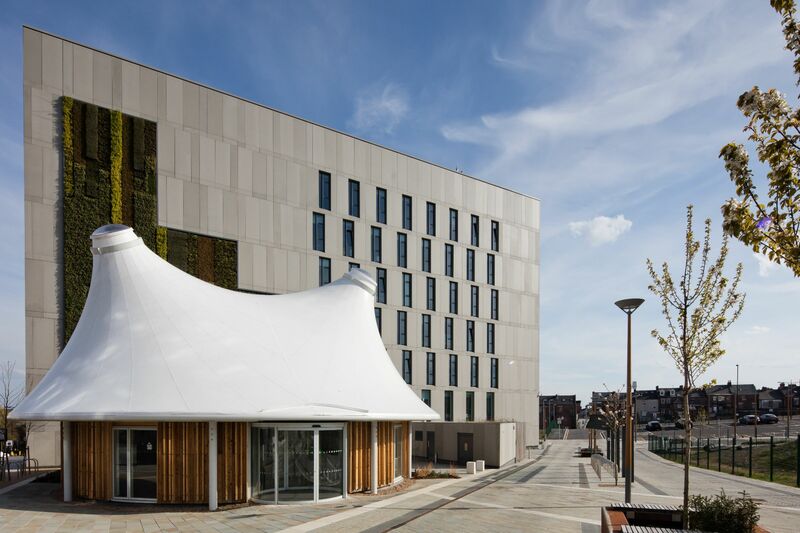 Arup and Space Architects worked in close collaboration to deliver this engineering design-led project for Newcastle University. The team used similar techniques and technologies that were developed by the university's team for the 2012 Olympic Stadium. Led by Newcastle University’s Professor of Computational and Structural Mechanics Peter Gosling and Dr Ben Bridgens of the School of Civil Engineering and Geosciences at Newcastle University, work on the building began in July 2015 and was completed last month.